Feathered, furry, or covered in scales – the beautiful scenic riverway is home to all of them. 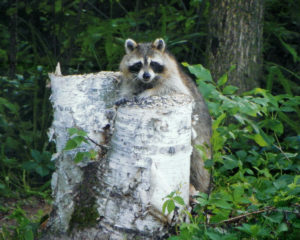 The Namekagon River is home to a variety of different species of animals. For our feathered friend enthusiasts, be sure to bring your birding check list, you can find your copy below! When gazing at the tree tops, you will be sure to see a variety of birds. The furry critters scurry around the banks of the river and nestle their homes just out of site. It is a beautiful site to see them in their natural habitat whether it is from the river or roaming the bankside trails. For a general idea of the animals you could spot on the land or in the water take a look at the Animal Checklist below.